TAP Portugal Supply Chain Planner breaks down his problem solving strategy. At 18 years old, Anthony Grieco saw an opportunity to help companies save money in the expanding aviation industry through logistics. He earned his degree in Transport Management and Logistics and without wasting any time he immediately began working as a Supply Chain Planner for TAP Portugal. The Differences Between a Consignment & VMI. Which Is The Most Valuable To You? 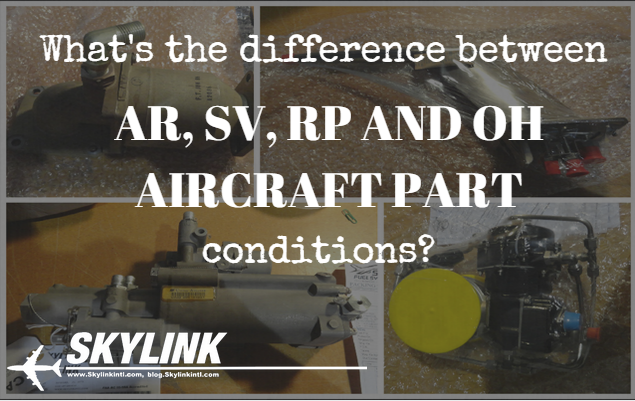 What's the difference between AR, SV, RP and OH aircraft part conditions? This is series 2 of our aircraft part conditions defined. In our last post we talked about FN, NE, and NS. From the feedback we got, this cleared up much confusion. Now, were talking about unserviceable and airworthy conditions. These conditions are looked at vastly different in various parts of the world. Some people will never use a "SV" component while others prefer it. On both ends of the spectrum you have AR which is removed from the aircraft and deemed unserviceable and OH which is the closest thing you get to NE. We'll explain this a little more as we get into each condition. When you think of these conditions you first must determine your primary objective, is it price or quality? Answering this will help guide you to the right condition for your maintenance goals. This is a component that was pulled off an aircraft. Spoiler alert, that's where "as removed" comes from. Sometimes she'll come with a reason for removal but often times in the part out world she'll come with nothing, just a removal tag and trace. It could be repairable or beyond economical repair (BER) for all you know. 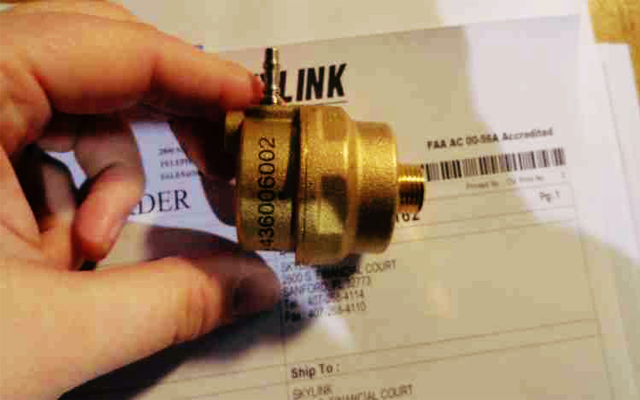 These items must go to a certified MRO for functional test or repair. This condition is intertwined with the repaired condition but there's minor differences depending on who you're talking to. For a SV unit you'll know that the unit has been functional tested in accordance with OEM specifications and that it'll come with an airworthiness certification depending on what region you're in. Here as you know it's the FAA 8130. Typically these units will not come with a teardown but only an airworthiness certification stating it passed functional test and it's able to be installed. This varies depending on MRO. 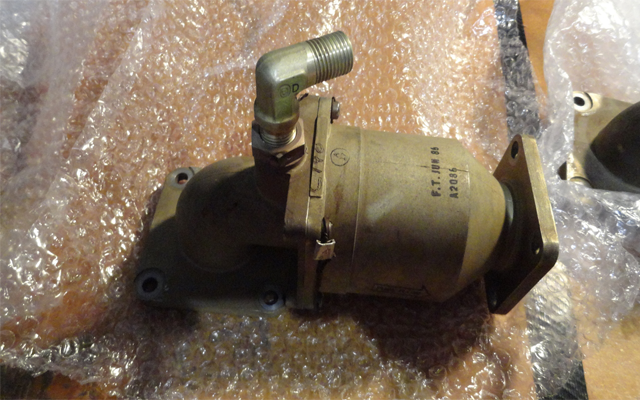 The repaired condition is a serviceable unit that requires a little more work. With repaired units minor piece parts are used to bring the unit into serviceable condition to meet the functional test requirements. Gaskets, bolts, and small expendables are the normal piece parts used in repairs. This condition will come with an airworthiness certification and teardown detailing what was done and what piece parts were used in the repair. This is the most work an aircraft rotable can go through. This is the "best" of all conditions and requires the most work. With an OH unit you'll be sure that your units will receive the 100% OH kit according to the CMM and any other components to bring it to such a condition. Overhauled units can also be painted and cosmetically pleasing so you know you're not getting a hunk of metal. Warning: In some situations, MROs will tag certain components as OH despite the CMM not having proper OH specification and they should be deemed RP. It's primarily used for marketing to sell a higher priced unit based on it's classification. We use to see this a lot with pitot tubes and other accessories. That's it. Those are your 4 rotable condition classifications. Depending on your operation, make the choices that best fits your needs. 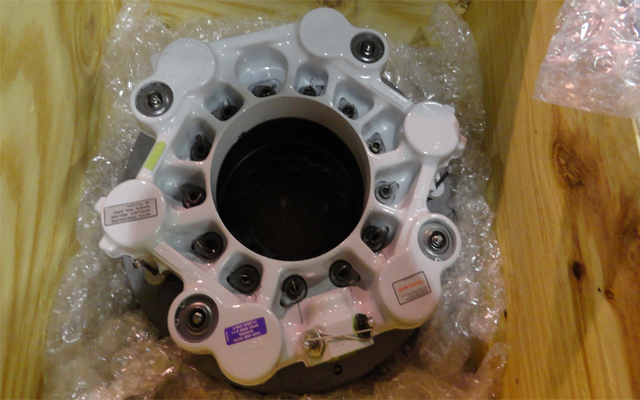 Are you in constant need for aircraft rotables? Fill out the form below and we'll be more than happy to help you out. What's The Difference Between FN, NE, & NS For Aircraft Part Conditions? It's shocking how many companies have different definitions for aircraft part conditions. From FN, NE, NS to RP, AR...oh my! Right now, at this moment, I'm giving you the all time, go to resource for three commonly used conditions for NEW components. According to the ATA Spec 106 “Sources and Approved Parts Qualifications Guidelines” FN and NS (more to come on this) have no regulatory definition. Generally speaking, FN is commonly used directly from the Original Equipment Manufacture. It hasn't passed through many hands to get to the end user. A standard industry practice is that if it's more than 2 years old, it's no longer FN. At Skylink we tend to think of it in terms of 6 months to a year. For certain components, 2 years on any shelf is way too long. For FN items, they'll always come with a manufacture's material cert. New is a regulatory definition for "...a product, assembly, accessory, component, part or material produced on conformity with approved data that is accompanied by a manufacturer’s material certification at the time of sale, and has no operating time or cycles." 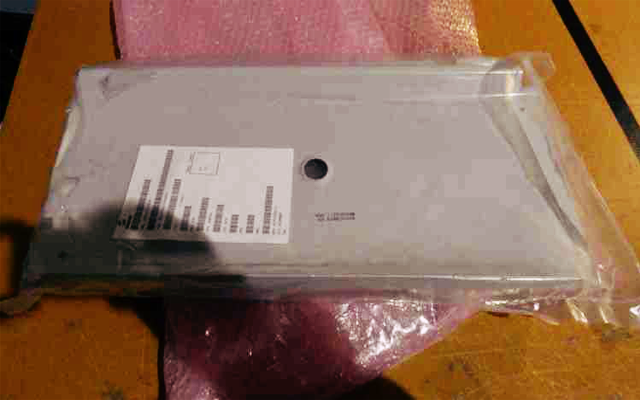 With NE items, the manufacture date can vary. If you need a DOM, it's best to ask when given NE conditions. New surplus parts can vary from how many people who have had it in there stock to how old they are. There's no definitive guideline. Typically they're the least costly condition but again, this condition isn't a regulatory definition. NS is great for obsolete items and is a great way to service aging aircraft. The owner was someone who had the potential to use the part; to install it, such as an aircraft or engine manufacturer, airline, repair station, or military operator. Are you often in need of FN, NE, or NS items? If so fill out the form below and we'd love to help you.